Reclaim Cottage01263 715779work01603 870304fax Self-cateringReclaim Cottage, renovated to a high standard, is detached and situated in the village of Colkirk in North Norfolk. Twelve miles away is the coastal town of Wells-next-the-Sea with its sandy beach, steam railway, harbour, shops, pubs, sports centre and golf course and further along the coast are the villages of Blakeney, Cley and Holkham. Inland is the town of Fakenham which has a cinema as well as stores, pubs and restaurants. 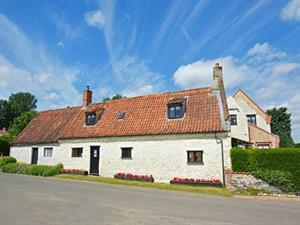 Reclaim Cottage, renovated to a high standard, is detached and situated in the village of Colkirk in North Norfolk. Twelve miles away is the coastal town of Wells-next-the-Sea with its sandy beach, steam railway, harbour, shops, pubs, sports centre and golf course and further along the coast are the villages of Blakeney, Cley and Holkham. Inland is the town of Fakenham which has a cinema as well as stores, pubs and restaurants.